Students ask: When am I ever going to use this? 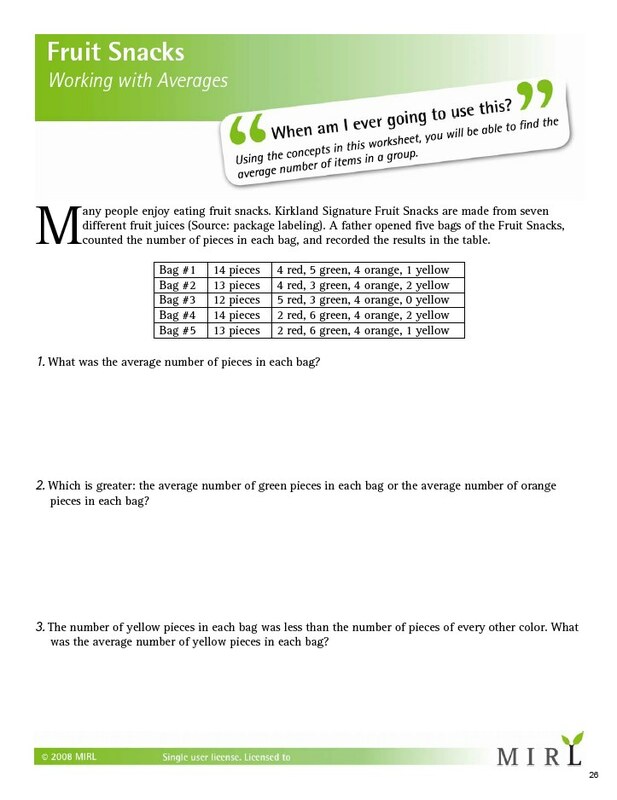 MIRL activities empower teachers to answer "when am I ever going to use this" by connecting math to real life. Engaged students are happy students. Customers report their students are actually ASKING to do more math after using the activities. Less preparation time = more time for you. MIRL activities save preparation time. The work of finding real-world math contexts has been done. Saves me sooo much time. Excellent! My 7th and 8th graders enjoyed this lesson very much. Great for home work or for small group work! It makes such a difference when kids can see the practical application. Thanks! Awesome resource!! My students loved it! This is a great practical activity for students. I really like the interpretation question at the end where students had to realize that a function may only be an accurate model over a certain interval. It was great seeing the realization of that idea in their eyes. Great resource for advanced math learners! 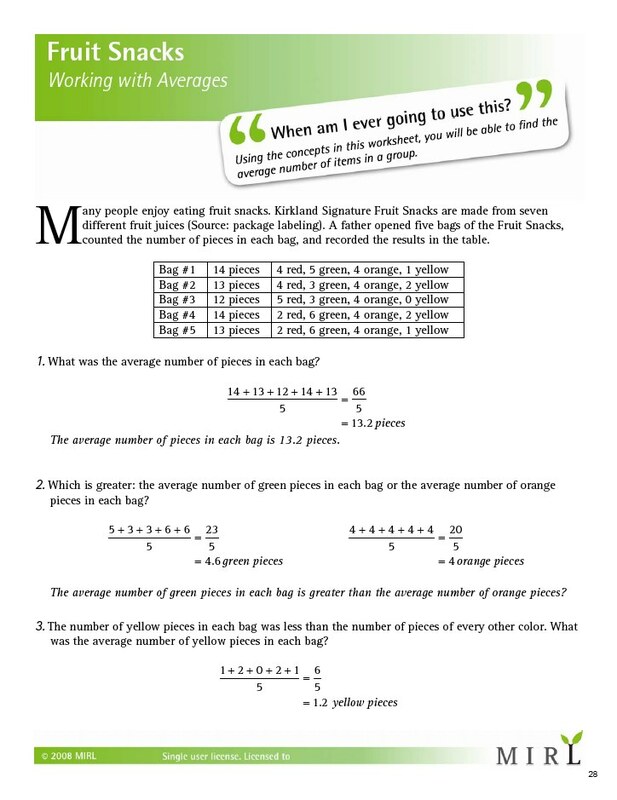 The thing I loved about many of the scenarios is that, unlike a typical word problem, they really take the student into the scenario and let them experience the decision in a way few math books even approach. The problems have been well-constructed and include reasoning and justification, as well as procedural skills. I cannot wait to use these in my classes. Thank you so much for making them available. The students really got engaged with the 'Shopping the Sale' worksheet... In addition to solving the questions on the worksheet, students wanted to extend the problems even further! (It's not often you get to hear, "Can we do more math?" from Gr. 7s and 8s!)" I want my students to think that I am teaching math for a reason, and what better way than to show them how to use it in actual situations. Wow. I am so excited about this series, and I absolutely will be getting more of these. Students were completely engaged in working together in a group to complete the task. It connected to something that they knew about (buying jeans). The real life problems provide opportunities to have conversations about meaning that other "non contextual problems" would never allow. So far I love it! The only thing I've been doing in addition to what you guys already provide is expand and have EVEN more follow up questions to an activity. Adding on questions is the easy part once the rich context is provided though and that's what I love! I really appreciate the work you put into the Make It Real Learning materials. It has helped us a lot with making the math the kids have to learn 'relevant.' It has especially helped me, as a homeschooling mother, because I don't have to try to come up with a real-world example that covers all the elements that one of my children is learning in math at that point. My 6th grade daughter loved this! [Fractions, Percents, and Decimals II] She ASKED to do it [...] in the car! She doesn't hate math but has never ASKED to do it. Having heard the litany of complaints over math, having something that shows the kids real life examples of math is fantastic. I really like that it uses every day dealings to not only teach math, but show how we use it every day in our lives. This is one that we will use again, and highly recommend to others. I have used, or have, most of the Make It Real Learning series. This series has been absolutely fantastic for our home school. My daughter loves the fact that she's working with real world data. I work with adults who either left school early for family reasons or have learning difficulties. They need real life maths. They don't have time to waste learning for the sake of learning. Your sheets give them something they can see an immediate use for that is not beyond their ability and importantly doesn't look like it was designed for children. They are a good way to apply the concepts they are learning. What do our activities look like? MIRL activities are portable document files (PDF) designed to be printed as you need them. The activities are aligned to the Common Core Standards (volume 2, volume 1 alignment is coming soon), so finding the right activity is easy. Each activity also includes worked-out solutions. See samples below. 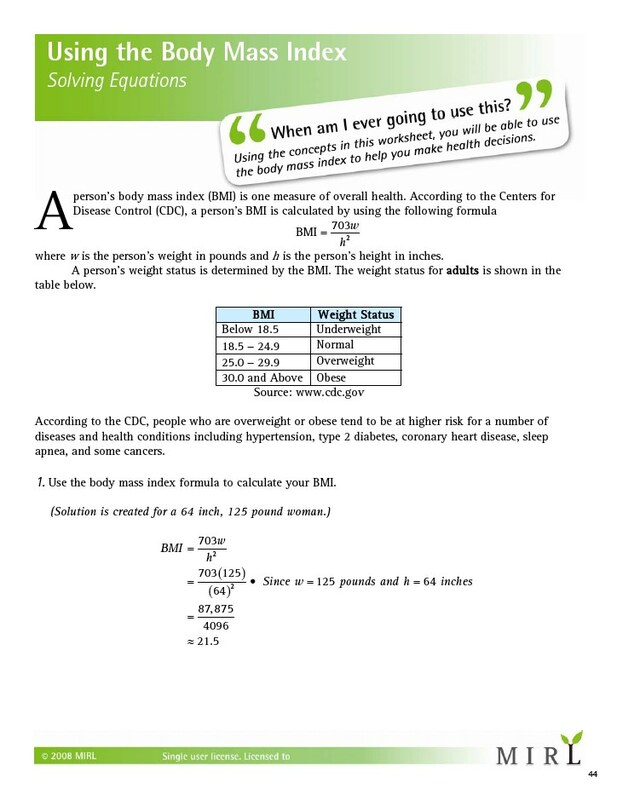 Arithmetic Sample 1, Page 1. 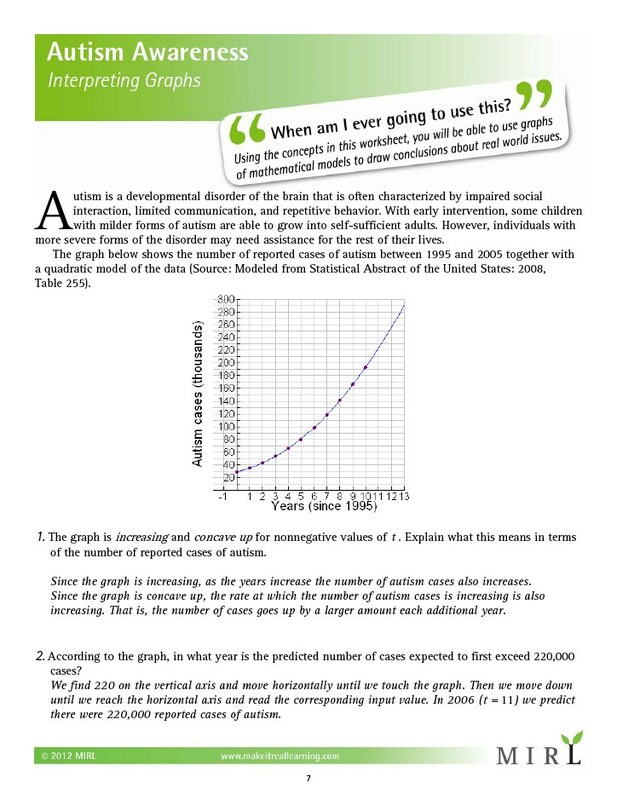 Arithmetic Sample 1, Page 2. 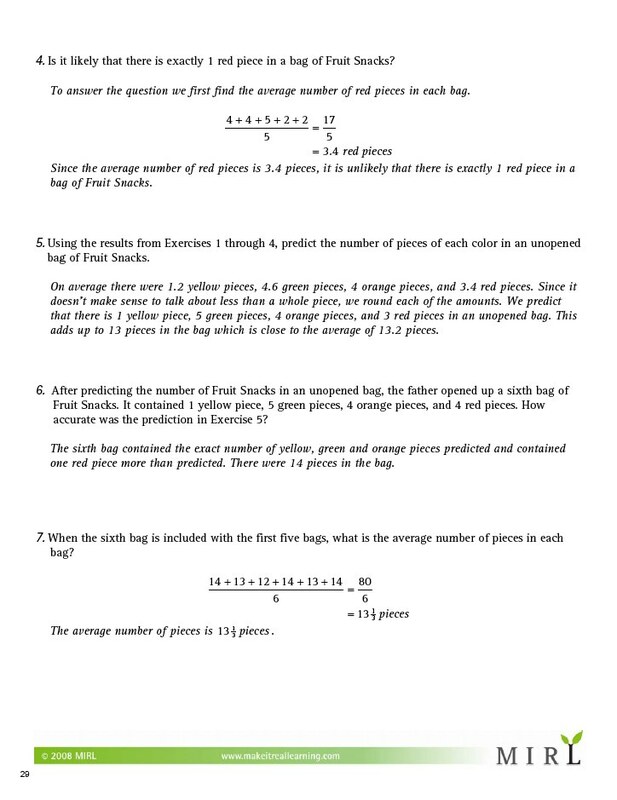 Arithmetic Sample 1, Page 1 (with solutions). 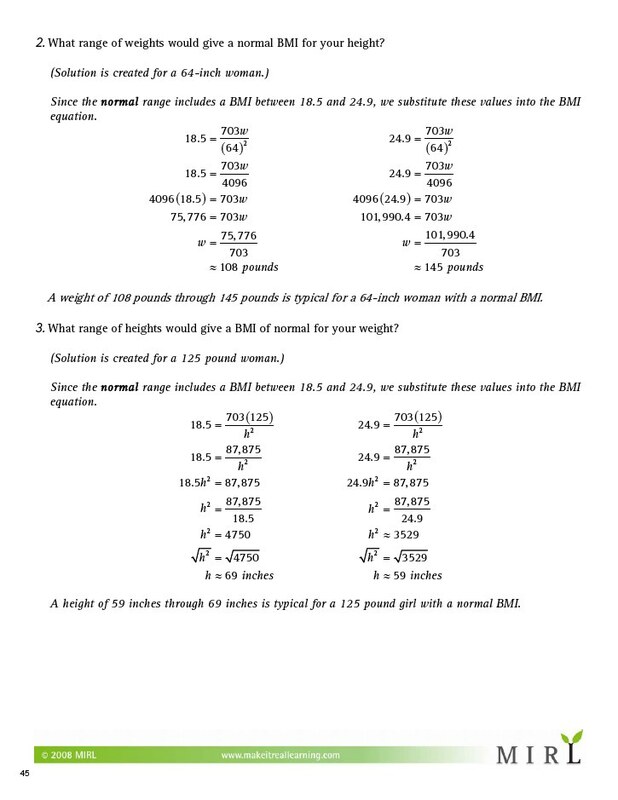 Arithmetic Sample 1, Page 2 (with solutions). 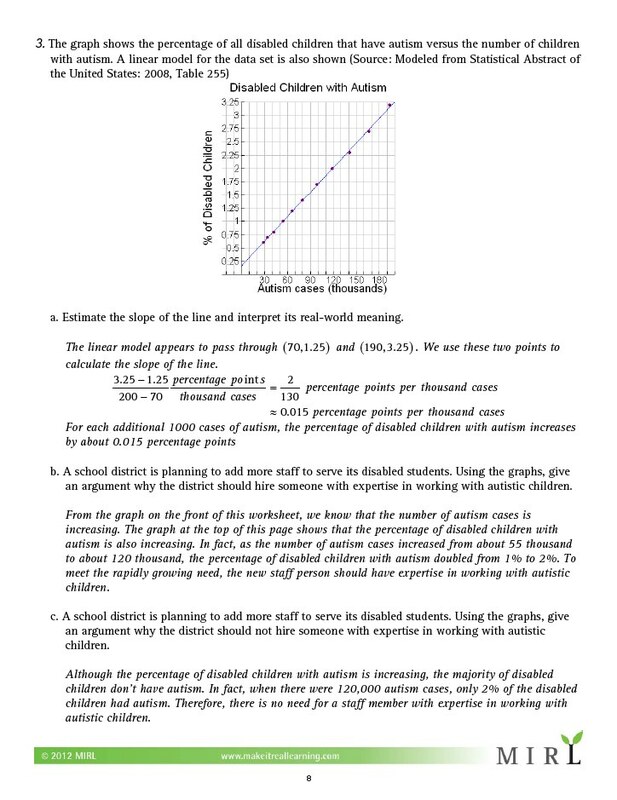 Graphing Sample 1, Page 1. 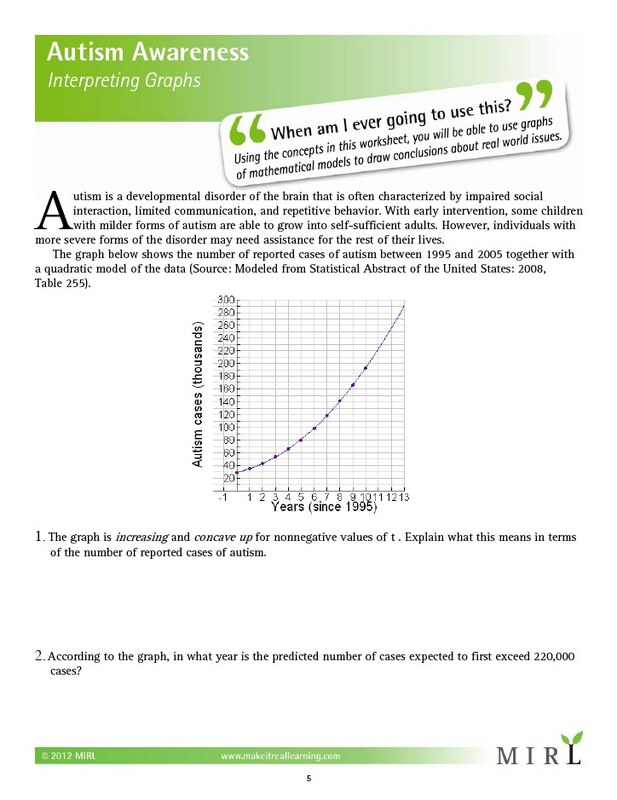 Graphing Sample 1, Page 2. Graphing Sample 1, Page 1 (with solutions). 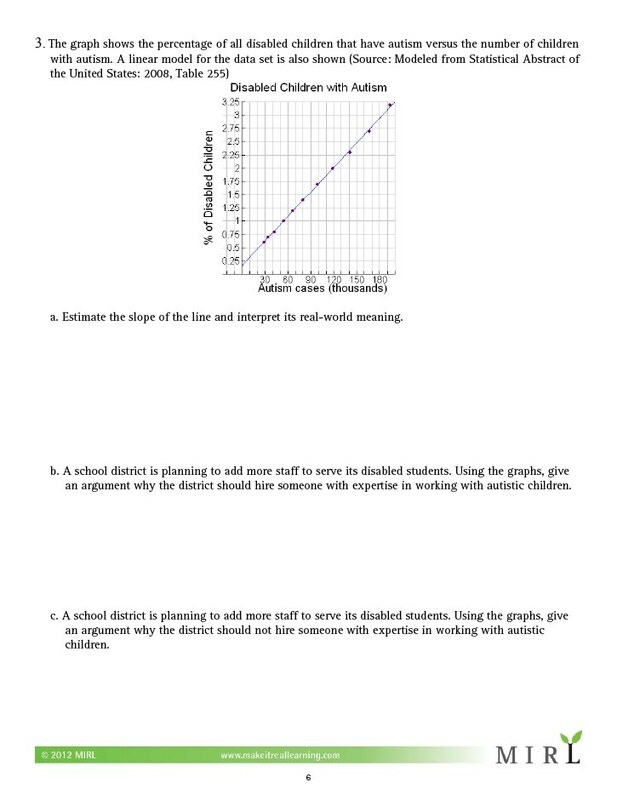 Graphing Sample 1, Page 2 (with solutions). 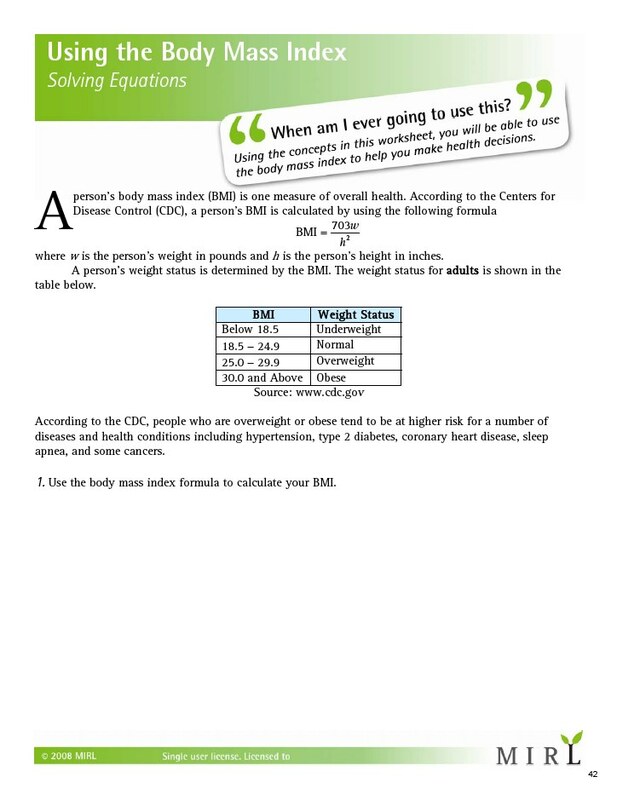 Quadratic Sample 1, Page 1. 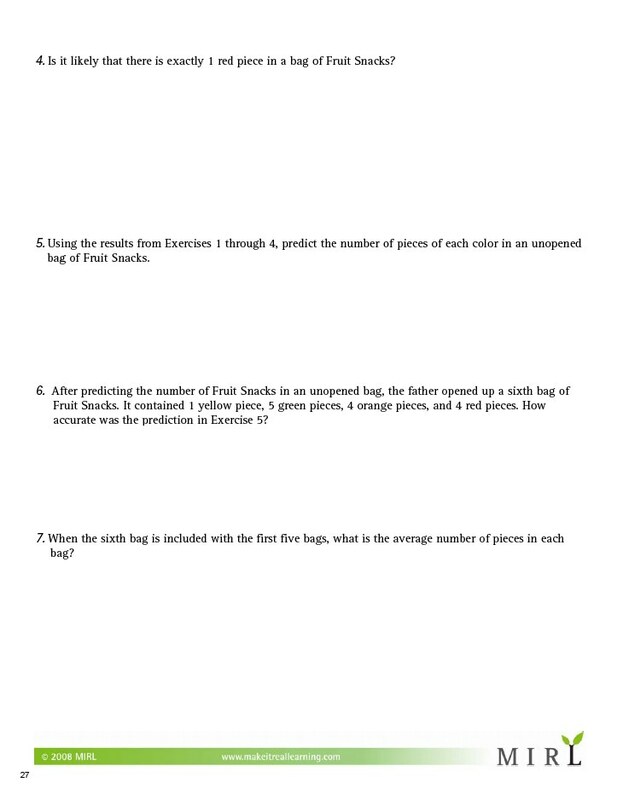 Quadratic Sample 1, Page 2. Quadratic Sample 1, Page 1 (with solutions). Quadratic Sample 1, Page 2 (with solutions). Download 20 free sample activities (10 from each library) or Buy Now.